In 2018, the Brazilian law that requires the addition of 10% of Biodiesel to the commercialized diesel oil came into force. And there are projects that indicate that by the year of 2023, this percentage will reach the maximum allowed limit of 15%. For those who are not yet commercializing B10, and want to include this fuel in their portfolio, it is important that some cares are taken given the high hygroscopic (water-absorbing capacity) of the blend. 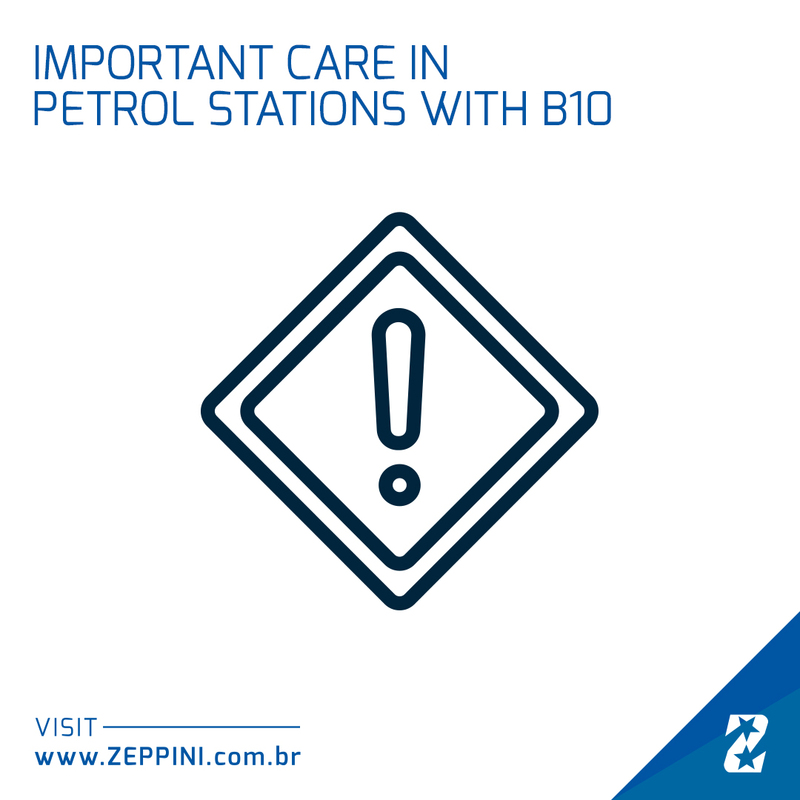 There are some important precautions to take early in the implementation of the fuel, such as cleaning the Underground Storage Tanks before the first discharge of the B10. Special attention is also required for the maintenance processes, and there may be a need for more frequent interaction such as draining the Tanks, draining the containers and replacing the filter element in the Diesel Filters. It is important that the owner and his team are also aware of climatic conditions, which is a regional factor that may contribute to an increase in the need for preventive maintenance, especially in more humid areas. If you need more information about the B10 and suitable equipment for use with this fuel, consult the Zeppini Ecoflex team. 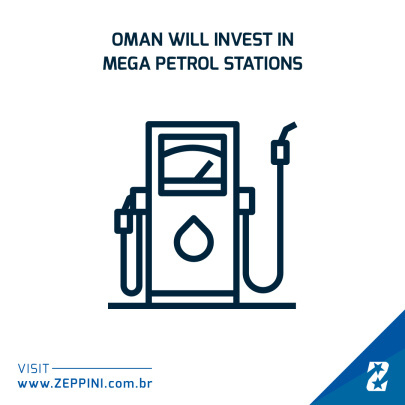 In attempt to modernize the infrastructure of the Oman Petrol Stations, Oman Oil Marketing Company (OOMC) will open two mega service stations with more than 9.000 square meters in the country. 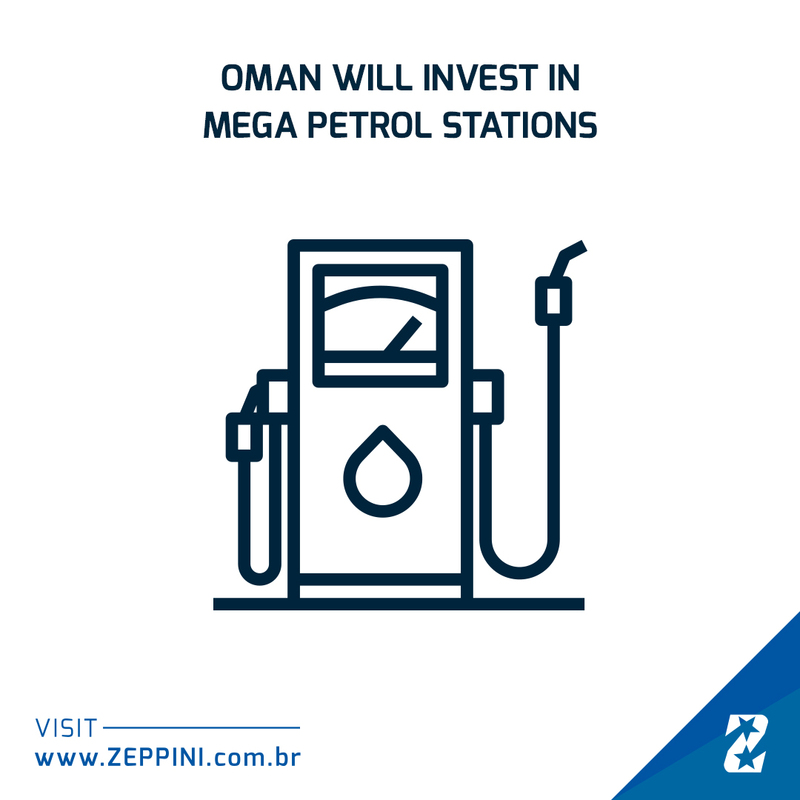 In these mega stations, the company will offer a series of services for purchase and entertainment, so that the Petrol Stations are not only used to fueling the vehicles, making the experience of its customers more pleasant. The project will start with two stations in the country. In the first stage, the Petrol Stations and automotive service center will be built, scheduled to be completed in the second semester of 2019. The second stage predicts the implementation of the other services and should be inaugurated in early 2020. The contract, signed in partnership with Sultan Qaboos University (SQU), foresees a long-term partnership and offer services that include purchases of food products and services, snack bars, service centers, shopping mall with global brands, gym, and also a business center. The AdBlue / DEF (Automotive Nitrogen Oxide Liquid Reducing Agent) is a fluid that reduces up to 98% of the nitrogen oxide emissions from the diesel burning. 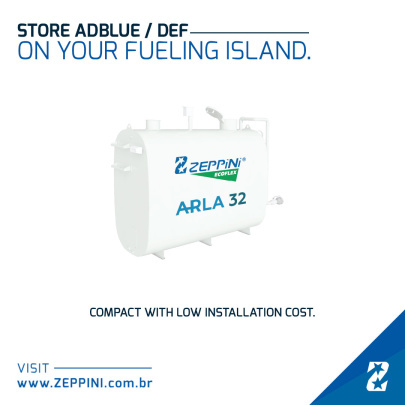 The supply of the fluid is growing in Petrol Stations around the world, and to attend the demand Zeppini Ecoflex has the Aboveground AdBlue / DEF Storage Tank, a solution that allows to store the fluid properly. One of the benefits of the Tank offered by Zeppini Ecoflex is that it is already developed in dimensions to be installed practically in the dispensing island. Another important benefit is that the Tank helps to maintain the proper temperature of the fluid, preserving its quality for use. The product is composed by an inner polypropylene wall and an external carbon steel wall. This equipment is available with storage capacity of 3.000 to 5.000 liters and has an analog or digital level indicator. And if you need more details, please contact the Zeppini Ecoflex team. 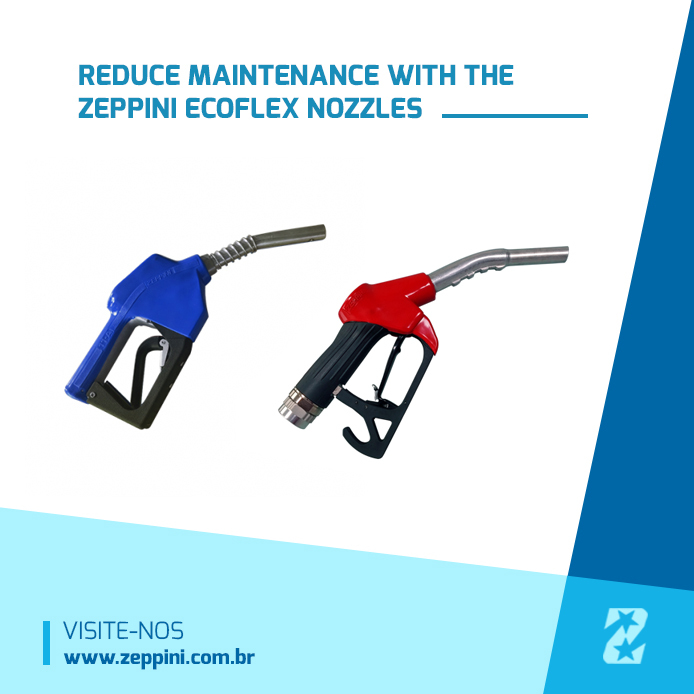 Zeppini Ecoflex, leader in environmental protection equipment for Petrol Stations, starts the year 2019 with high expectations. The company prepares great news in its products line with update of some items and launch of new equipment. The new solutions are already in the final stages of development and should be presented to the market in the first semester. The company also, as usual, will participate in national and international events, and will conduct trainings, already confirmed in the company schedule, that will be released during the year. Besides that, Zeppini Ecoflex will have new also in its communication project that will be announced already in February, aiming to increase and facilitate even more its communication with the market. Check more information about this news following the company social networks channels, which are updated weekly. 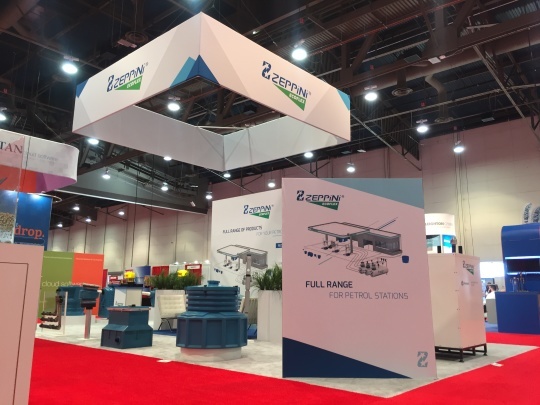 The month of October was quite busy for Zeppini Ecoflex, after participating in another edition of the event PEI at the Nacs Show. The event organized this year in Las Vegas, confirmed once again its importance for Petrol Stations equipment, car wash and convenience stores, occupying an area of more than 35,000m² and receiving over 20.000 visitors during the 3-day event. 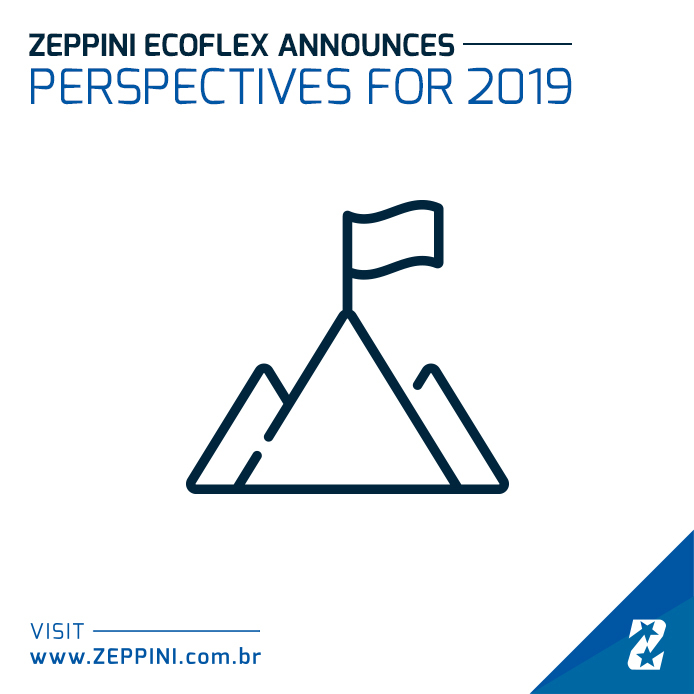 The event was also considered a success for Zeppini Ecoflex, which received visitors from more than 30 countries, interested in the most diverse products lines offered by the company. The equipment that most appealed the curiosity of the visitors was certainly the Vapor Recovery System – Keeper, that attracted attention by its innovative proposal and performance that ensures the return of the invested amount in a short time. It is also possible to highlight the interest of most visitors in the Fuel Flex – ONE piping system, that in a few months will count with the European certification EN for all the available diameters, including the double wall models. The Zeppini Ecoflex team thanks to all the professionals who have visited our team and took the time to learn about our news at PEI at the Nacs Show 2018, held from October 8th to 10th in Las Vegas. We would like to thank all the partners who contributed to our successful participation in this international event. See you in Atlanta in the 2019 edition of PEI! The fuel pumping that supplies the vehicles at the Petrol Stations can be accomplished in two ways: by a pump located in the supplying unit that get the fuel from the Storage Tank, or with a pump installed inside the Tank that directs the fuel pressurized. It is important to note that the equipment used in the underground system installation will suffer changes according to the type of the pumping system selected. One of the differences is on the HDPE Pipes, while suction systems can work with single-wall or double-wall Pipes, in pressure systems it is essential to use of double-wall pipes. When replacing the Pipes, Entry Boots with Test Valve also must be used . Another difference is the valve installed in the dispenser. In suction systems it is possible to use both, Check Valve and Shut-off Valve, while in pressured systems must be used the Shut-off Valve, necessarily fixed in a Stabilizer Bar. In Petrol Stations that commercialize Diesel, the Diesel Press Filters normally used in suction systems, must be replaced by Line Filters in the pressure systems. Another point of attention in pressure systems are the Flexible Connector, which must be tested to withstand the working pressures of this type of system, ensuring the life of equipment. 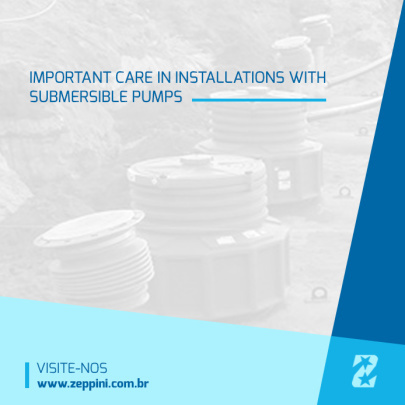 For more information on submersible pump installations or to clarify other questions about installation and maintenance, contact the Zeppini Ecoflex team. Zeppini Ecoflex invites you to another edition of the PEI at the Nacs Show, that this year will be held in October in Las Vegas, Nevada. The expectations for this event are the best possible as stated by the Sales Director of the company Sandro Albano. “At the last edition held in Las Vegas records were broken, with more than 38.000 square meters of exhibition area and over 24,000 visitors during the three days of event, so we are preparing launches that will be presented at first hand to the market. The company, that this year will be allocated in a 72 m² space, in one of the main streets of the Petrol Station equipment division. One of the highlights will be the company recent launch, the Vapor Recovery System – Keeper, which reduces the vapor emission, and provides an economy to the Petrol Station, recovering on average one liter of fuel for 1.000 liters commercialized. In addition, Zeppini Ecoflex is preparing a pre-launch of a new equipment, related to its Piping System, which will be presented for the first time at an international event. Besides the latest solutions, will be on displayed Containment Systems, Piping System, Oil and Water Separators, among other company products that are well known by the market. 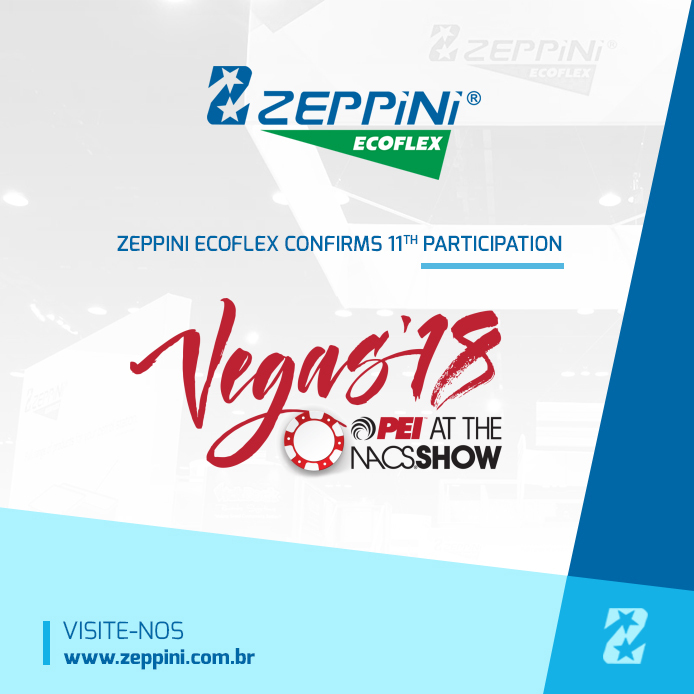 Visit Zeppini Ecoflex from October 8-10, at PEI booth 7361 of the Nacs Show 2018. The rainwater harvesting performed by the Zeppini Ecoflex Pluvi System has stood out in the market of water solutions due the high level of economy that it provides. The use of the equipment is one of the simplest ways to reduce water costs, since it can be installed easily, without the need for major structural modifications, and allows the use of a large volume of water from an alternative source, thus providing quick return on investment. The Pluvi System provides a potential saving of up to 80% in water costs, if the place uses the treated water in several non-potable activities. As in watering, washing vehicles, toilets and floor cleaning of the petrol station and convenience store. To ensure the quality for the water that will be used in these activities, the equipment performs three stages of treatment: Railing to remove larger solids, Filtering to contain smaller particles; and Chlorination to perform a disinfection, eliminating germs and bacteria. 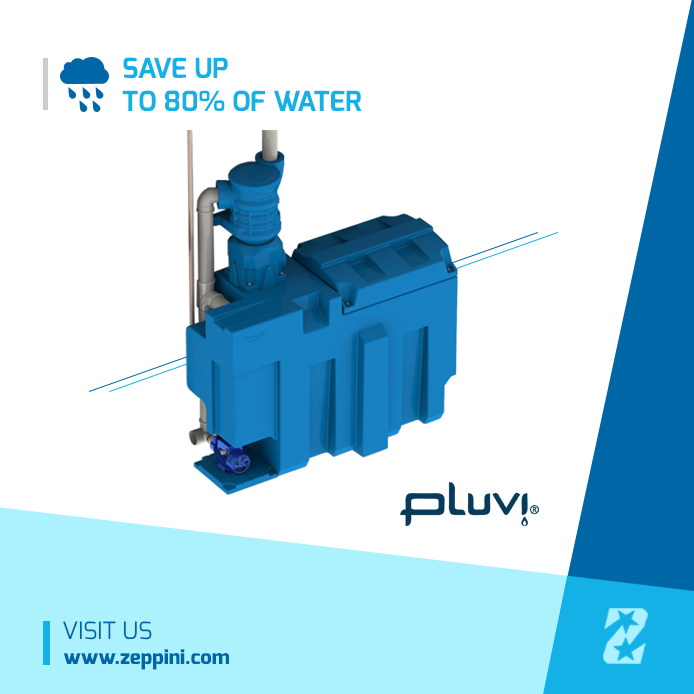 Zeppini Ecoflex offers the rainwater harvesting system in versions Pluvi Junior for places with smaller harvesting area and in version Pluvi Business for places with larger harvesting area and demand of water consumption.